Motor Neurone Disease is one of the most difficult conditions to manage medically and socially. A disease which leads to the loss of control of most muscle systems of the body, it has no known cause and no cure. For this reason, clinicians have traditionally been reluctant to reveal the diagnosis to sufferers or their families and the condition has become known as one of the best kept secrets of medical practice. However in recent years a number of organizations have set up to support sufferers and their families and consequently, the public profile of the condition has changed dramatically. 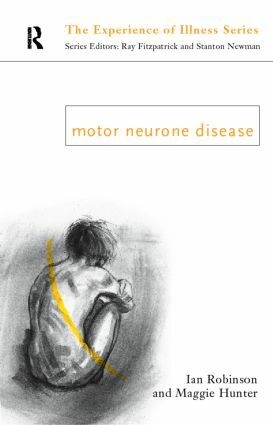 Motor Neurone Disease provides an extremely helpful guide to the medical facts relating to the condition and considers the psycho-social effects on sufferers and those who care for them. It will be essential reading for doctors, nurses, social workers, physio-, speech and occupational therapists as well as all those suffering from Motor Neurone Disease, their families and carers.